A common misconception among Americans is that getting a mortgage is difficult. Many still believe that following the crackdown from the housing collapse a decade ago getting a home loan is nearly impossible. Thanks to efforts by the Federal Housing Authority, getting a mortgage now is easier than it has been in years. Fewer restrictions and lower requirements make it possible for many who were ineligible for a home loan just a few years ago. Now it is easier and faster to obtain a mortgage now. The accessibility isn’t the only reason Americans should consider their options for buying a home now. Low interest rates mean great savings on home loans for everyone. With the new FHA Refinance Rules in Florida, it has never been easier to receive a new home loan or refinance with NSH Mortgage lender. One of the principle changes made with the new FHA Refinance rules change is to make their loans more accessible to home buyers. This is the decision to do away with adjustable interest at the start of the loan. In the past, it could cost up to a full month’s extra interest on a mortgage loan if it was closed at the wrong time of the month. New policies in FHA loans now allow homeowners using the FHA Streamline loan to close on any day of the month, and without interest penalties. This change was effective as soon as the change took place. Homeowners refinancing an existing mortgage will find the FHA Streamline loan has far better rates as well. Interest on a Streamline refinance are twenty-five points lower than on a conforming loan from a conventional bank. Coupled with the fact that mortgage insurance premiums (MIP) are lower than ever before, FHA loans are cheaper and easier to receive than they have ever been. WHAT IS A STREAMLINE REFINANCE LOAN FROM THE FHA? Streamline loans from the FHA let home owners with an existing FHA loan get a new loan at better rates with far less hassle. Almost all of the information from the former loan can be used to apply for the new loan. There is far less paperwork, no income or employment verification required, and no appraisals needed for an existing home. The only requirement is that the new loan must save the homeowner at least 5% over their existing mortgage loan. Total savings include all of the typical costs of a mortgage including the principle, interest payments and any mortgage insurance tallied up to create the monthly payment. The new low interest rates on FHA loans make it likely that anyone with a prior FHA loan will save 5%. This is if the loan was obtained at least six months earlier. For the average home owner it only takes a 0.50% drop in interest (50 basis points) to be qualified for a Streamline loan on the basis of savings. Thanks to the low interest rates available millions of home owners are now eligible for a Streamline refinance loan. Those are the only requirements for a Streamline loan. The Streamline loan process is fast and easy. FHA Streamline loans do not require any proof of employment and income verification. There are no credit checks and no home appraisals required to close on an FHA Streamline loan. This makes the entire process quick and easy. The reason for this quick and easy process is that the FHA feels it makes perfect sense. They have already granted a loan to the home owner based on the normal qualification. Even if they did not give them a new loan at better terms, the home owner would still be making mortgage payments. It only makes sense that it would be easier for the home owner to make lower payments. That is why the main qualification for a new Streamline loan is that it saves the home owner at least 5%. The home owner is far more likely to make timely payments if the amount is lower than it was before. How Can You Take Advantage Of The FHA Refinance Rules Change? The thinking is that whether the home owner is employed, still makes the same amount of money or not, or what their credit score is, if they have made payments before, they would surely continue to do so under the better payment schedule. That is why one of the other requirements is that the current loan be up to date and checked recently. There may also be no missing payments for the prior six months. FHA Streamline loans are available for very generous amounts. Even in high cost areas such as Chicago, Los Angeles, New York City and San Jose home owners can get loans up to $725,750. Home owners can get a streamline loan on multi-unit homes and on FHA 203K construction loans as well. 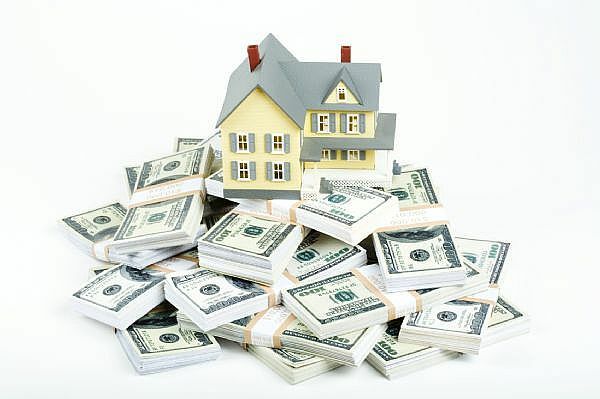 NSH Mortgage has written a variety of articles on both streamline and FHA 203k loans. You can head over to our mortgage blog to read and discuss more mortgage topics.